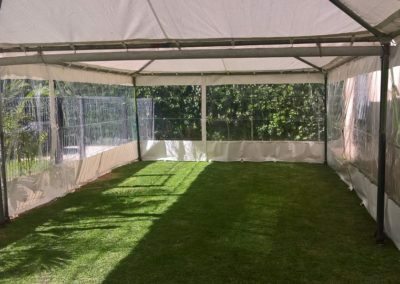 Our extensive range of sizes is ideal for domestic or commercial parties, sports days, fete and gala events, hospitality, weddings, engagements and birthdays. 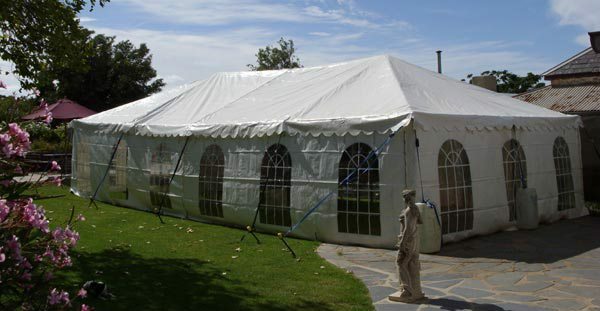 Let us help you choose the right marquee to accommodate all your guests, just call (08) 8445 7829! 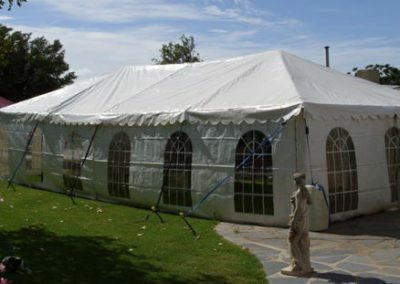 We offer Classic White Marquees with white solid walls or walls with Colonial Arch Windows. Some Marquee sizes come in Green / Blue and are slightly cheaper! Early booking to secure your preference is essential. 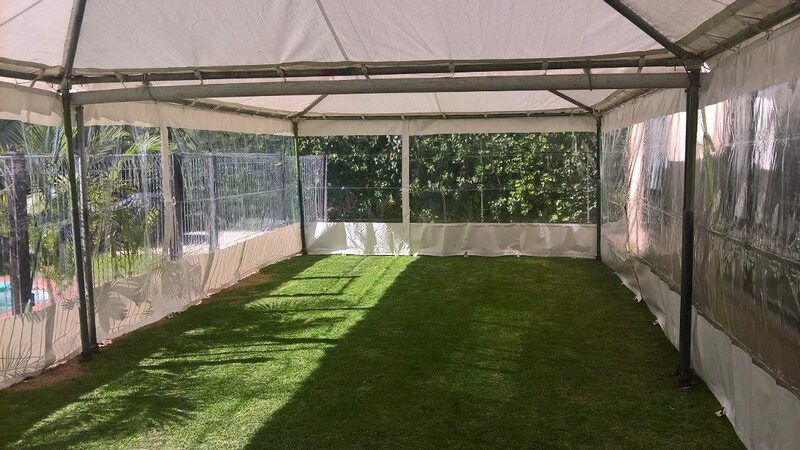 Marquee walls are not to be used for any other purpose other than straight down from the marquee roof to the ground! 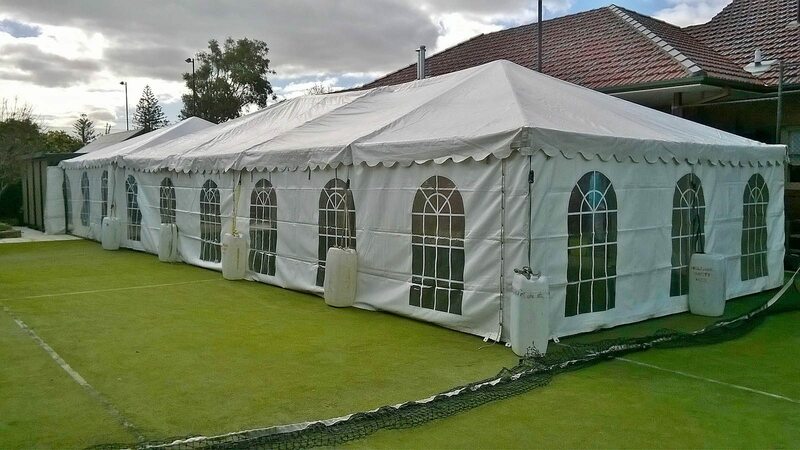 The booking of Marquees will usually require a down payment of around 25%, with the balance payable on delivery. Cancellation terms are 14 days notice, failing which you will be charged 25% of the total cost. Orders cancelled on the day of delivery will be charged 100% cancellation fee. For functions in public areas, we are happy to forward a copy of our Public Liability Insurance. 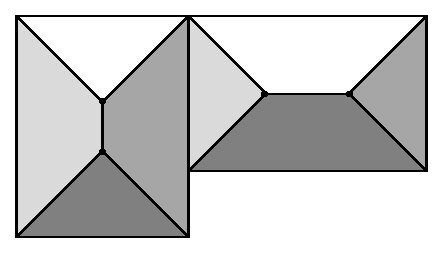 The hirer is responsible for damage to underground pipes and cables of any kind unless a plan is supplied. No paper streamers are to be used inside or near our marquees. 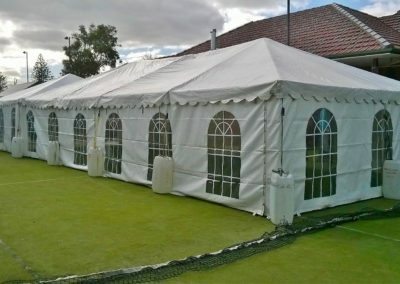 Excessive weather alert conditions may prevent successful marquee installation!